TS DEECET Hall Ticket 2017 is available to download. Candidates who have applied for this Teacher eligibility test will be waiting for the Telangana DIETCET Admit Card 2017 to appear in the written test. Here we are providing the step wise procedure for downloading the TS D.Ed Entrance Exam Hall Ticket 2017. 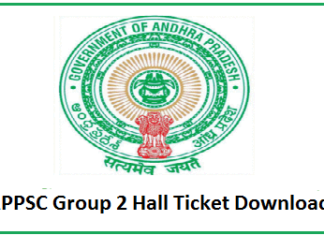 The Applicants now can download TS DEECET 2017 Hall Tickets from below links and process to download TS DEECET Admit Card also explained below. 3. If you open official link Click on the Download Hall ticket button mentioned in red colour. Click on it. Registration No and DOB(dd-mm-yy) at the required places to download the Hall Ticket. 2. What should I do if there is lot of delay in accessing the page?Internet based Hall Ticket download depends on various factors like Internet Speed, large number of Applicants trying to download the Hall Ticket at the same time etc. Therefore, if you are not able to download the Hall Ticket immediately, please retry after a gap of 5 minutes or during off-peak hours during the night. 3. Where do I get the REGISTRATION NO. & PASSWORD?REGISTRATION NO. & PASSWORD are generated at the time of registration and displayed on the screen. These are also sent to the candidate immediately upon successful registration, by way of auto generated email acknowledgement, at the email address registered by him. 4. My DATE OF BIRTH is rejected on login screen?Candidate should ensure that the DATE OF BIRTH is same as he had entered at the time of registration. Candidate can refer the APPLICATION PRINT for the DATE OF BIRTH entered by him. The date of Birth should be entered in DD-MM-YY format. 5. I am unable to login / screen displays the login failed message?Please check your entries in login screen. You should use REGISTRATION NO. & PASSWORD as received at the time of registration by displaying on the screen and also mailed to you in auto generated email acknowledgement.Also, make sure that the DATE OF BIRTH you have entered is same as you entered at the time of registration and printed in the application print. The fee prescribed for appearing for TSDEECET 2017 to be conducted online is Rs350/- (Rupees Three Hundred and Fifty Only). Candidates can pay the fee through payment Gateway between 10.05.2017 to 23.05.2017 and submit online application at the TSDEECET website http://tsdeecet.cgg.gov.in/ between 10.05.2017 to 24.05.2017. Detailed procedure for applying ONLINE is given in the Information Bulletin. Candidates can download the “Information Bulletin” free of cost from the TSDEECET website http://tsdeecet.cgg.gov.in/ from 09.05.2017 onwards. Candidates can submit their applications online from 10.05.2017 to 24.05.2017. DEECET shall be conducted in all the 10 erstwhile districts of the state. Candidates should have secured a rank in TSDEECET 2017 and should satisfy the educational qualifications as shown at 5 (D) below for allotment of Seats in Government DIETs and Category ‘A’ and ‘B’ seats in Private Elementary Teacher Education Institutions. For obtaining a rank, candidate belonging to “OC” and “BC” Communities shall secure 35% marks in TSDEECET. For Scheduled Castes and Scheduled Tribes there shall be no minimum qualifying marks for allotment of seats reserved under the respective categories. That is to say, candidates belonging to Scheduled Castes and Scheduled Tribes Communities should secure 35% of marks for consideration against seats under OC/ NCC / Defence Personnel or their children and spouses / Sports category. The candidates should have secured 50% of marks in aggregate in the Qualifying Examination for appearing at the TSDEECET 2017. The minimum percentage of marks in the case of Scheduled Castes and Scheduled Tribes and Physically Challenged candidates shall however be 45%. Candidates should have completed 17 years of age as on 1st September of the year of admission. There shall be no upper age limit for admission into D.El.Ed Programme. The details pertaining to the Rule of Reservation and allotment of seats are given in the Information Bulletin. Syllabus and Structure of the test are given in the Information Bulletin hosted on TSDEECET website http://tsdeecet.cgg.gov.in/. TSDEECET 2017 shall be conducted ‘ONLINE’. Detailed procedure shall be hosted on the TSDEECET website http://tsdeecet.cgg.gov.in/ shortly. The Online Examination related material will be preserved for six months from the date of Examination and no application in this regard will be entertained beyond this period.